New vulnerabilities have been exposed this week that affect most computer systems including Windows, MacOS, iOS, Android and ChromeOS (including the Chrome web browser). 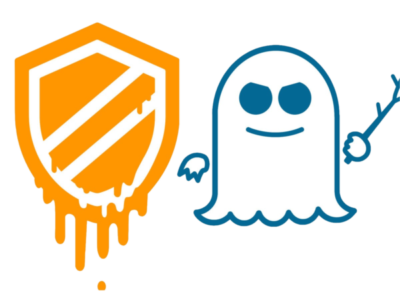 These flaws are a feature designed into the architecture of most electronic devices and operating systems and are exploited through attacks known as Meltdown and Spectre. If successful, these attacks could expose sensitive information you send through the internet potentially leading to identity theft. Although difficult to exploit they are serious. The Carolina Computer Forensics Group advises you and your companies to take action to mitigate the threat. Update your operating system. All major vendors are or have already released patches that help prevent an attack. Update now then do it again next week. Update your web browser(s). If you are using Google Chrome or Mozilla Firefox click on the right most icon along the toolbar (it will look like some vertical dots on Chrome and horizontal lines in Firefox) then click Help and About. Let the browser restart when prompted. If you are using Google Chrome enable Site Isolation. Googling “Chrome Site Isolation” will give specific instructions. Be on the lookout for firmware updates for your hardware. Manufacturers are working on hardware level patches but this may take a bit longer. Check the support site for your computer or be aware of announcements from Apple, Intel, AMD, Dell, HP, Lenovo, etc. Be aware that these actions may slow down your system, particularly if you use Chrome and have many windows open at the same time. Carolina Computer Forensic Group members are implementing the changes and updating our systmes to be more secure regardless of the potential slowdown. The biggest impact observed so far is that the Chrome browser seems to be using more memory now with each tab open so adding to your computer memory may help mitigate the impact. As always, the Carolina Computer Forensic Group is ready to assist with Cyber Security threats, Mobile Forensics, Computer Forensics, Data Recovery and Digital Security Consulting. Please contact us at 864-977-1223 or visit our website at https://www.carolinacomputerforensics.com for more information. The PCMag article How to Protect Your Devices Against Meltdown, Spectre Bugs, written by Tom Brant at PCMag (www.pcmag.com) was used as a reference for this blog post.